As preparation for our Major Economies and Climate Change Research presentation, I will be providing a brief overview of industry’s share of emissions within the energy efficiency sector. 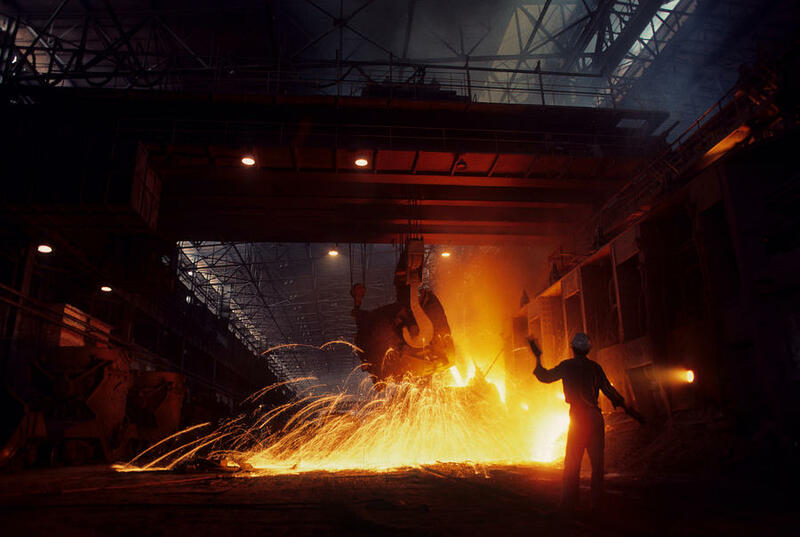 Specifically, these two posts will discuss the chemical, iron and steel, and cement industries’ abatement strategies and will list policy recommendations for the industrial sector as a whole. Why is it important to separate these industries from the energy efficiency sector? Because by 2030 under a business as usual outlook, industrial emissions will account for 37% of total global emissions, dwarfing even buildings emissions which will constitute 18%. Supporting emissions abatement measures within the top industrial emitters -China, India, and the US- will be necessary to ensure our footing on the 2o C path. Energy Efficiency Improvements: Firms should deploy energy efficient technologies and best practicable technologies. Fuel and Feedstock Switching: Industrial processes, such as iron reduction, chemical distillation, and cement clinker production should switch from coal and oil to natural gas, biomass, geothermal, or solar heat as fuel sources or to natural gas and biomass as feedstock. Combined Heat and Power: Use of on-site generated electricity and energy naturally produces heat which can be used for heat-intensive industrial purposes. Recycling and Recovery: Used steel and plastics can be economically recycled with less emissions. Additionally, blast-furnace slag from steel waste and fly ash from coal energy production can be substituted in cement clinker with lower CO2 emissions. Carbon Capture and Sequestration (CCS): CCS can be potential in capturing emissions from local energy production and from carbon-emitting industrial processes. However, CCS for cement kilns is less economical than CCS for the chemical and iron and steel industries, reducing CCS’s potential in that sector. Within the chemical industry, abatement potential for each country is highest in China and the United States, while in the iron and steel industry it is highest in China and India, and in the cement industry it is highest in China and India. China and India are both rapidly developing nations with steep levels of urbanization leading to these high abatement potentials in their steel and cement industries. Additionally, the chemical industry is the fastest growing sector within industry, owing to the rising demand of petrochemical products and its extensive and flexible supply chain. Unfortunately, quick adoption of the above mentioned abatement potential measures is not necessarily feasible. For example, short investment payback thresholds, high levels of risk, and limited access to capital could stymie possible investment planning, in spite that most of these measures have payback periods of less than two years. Furthermore, access to shipping in the chemicals and iron and steel industries has made it economical to import products from less energy efficient conscious regions. Solutions for these industries then could shift production to other regions. Additionally, regulatory structures among developing countries, such as India and China which have recently liberalized their industries, are much more complex than in the United States. Conflicts among these regulatory bodies sometimes arise in decision making, contributing to the delay of abatement measures. Please click here to read part II of the industrial sector’s overview.